Time is running out (even if your an undead Lich), to get in on the Lair of the Lich King Expansion Kickstarter campaign. You've still got a week to go, though. So you still have a bit of time. This set is a new expansion for the Dubious Alliance fantasy bluffing card game. What is Dubious Alliance? Well, it's the bluffing card game where you play a band of orcs who are all competing to see who is the toughest adventurer. You must overcome traps, kill monsters, and outwit one another... to a point. If any of the players die, then the orc tribe is weakened and everyone looses. For the Lair of the Lich King set, they bring in 11 new cards to overcome, along with new rules for the game including "level drain." The overall rules have also been updated, including drafting rules if you so choose to use them. 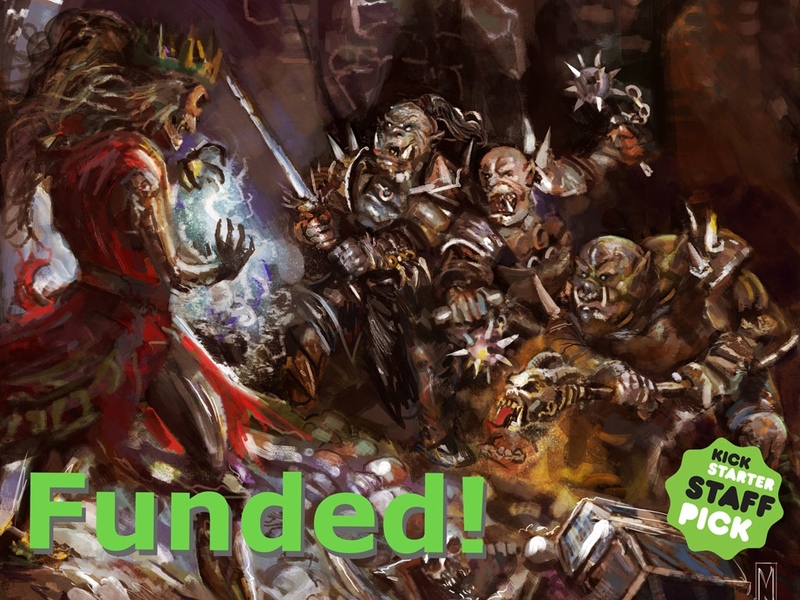 The campaign is over their funding goal, so it's just up to unlocking more stretch goals (they've made it through some already, which will add an extra 4 cards to the total in the set).